When you sign up to join you will receive special discounts, invitations to members only events, learn about deals and specials ahead of time and become part of your local community’s sports and fitness hub! Our Clearwater, FL location has moved! Come visit us at our new store in Dunedin. 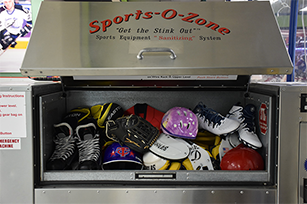 See what gear, equipment, in-store services and Skill Zones are available! Check out our great deals on Summer Fun Games! Spring sports are around the corner. Load up on everything you need for baseball, lacrosse, soccer and more! Find new and used gear and equipment for all seasons. We thoroughly sanitize each piece in our inventory for your safety. Shop Local and Support Your Local Teams! Seriously get top quality sporting goods that are gently used and like new. You can’t go wrong and you can’t beat the prices. You will be amazed at the wide variety of things you can get. Love this place! I crave competition and have a passion for being athletic, and they were able to help me keep my game at top speed. Interested in Owning a 2nd Time Sports? Can’t get enough of 2nd Time Sports? There’s no better time to join our team as a franchise owner-operator. In fact, the sporting goods store industry has seen $69 billion in gross sales and more than 2% growth on an annual basis over the last five years. We’re passionate about what we do, and there’s a promising market that supports it.